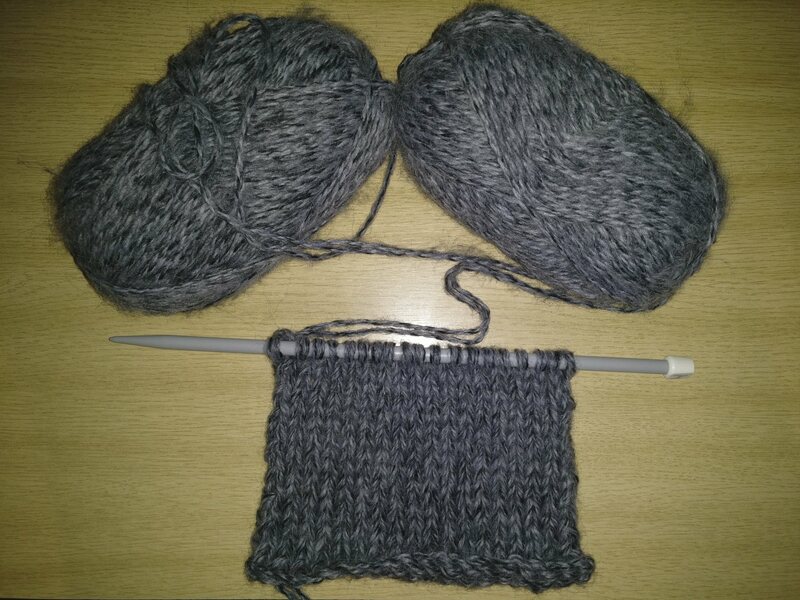 As I think has become clear on this site, I’ve taken up knitting. Up until this point, I’d knitted lots of scarves (I think just about everyone in the extended family has received a scarf for Christmas) and a few hats. I decided that maybe I should try and push my skills slightly further and knit something that needed to actually be knitted from a pattern and needed to fit! 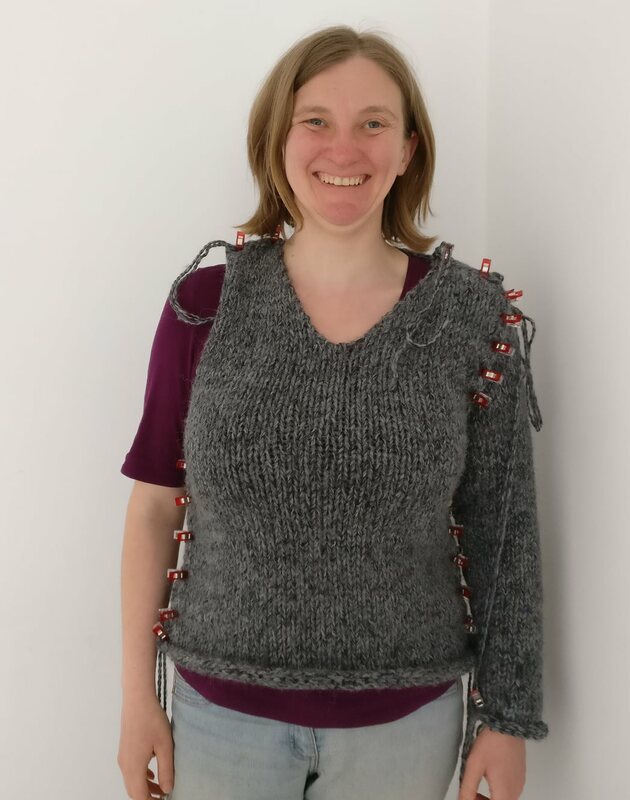 I decided that I would start with a jumper for me, working on the assumption that I’m easy to measure and likely to be more forgiving about fit. I had been gifted a couple of knitting books by my mother in law, and found a pattern in the “Chicks with Sticks guide to knitting” that I thought I should be able to tackle. This pattern used a super chunky weight yarn and nice big 10mm needles – as such, I thought it would knit up quite quickly, and the challenge of using two balls of yarn at a time and the challenge of following a pattern would more than outweigh the boredom of stocking stitch. 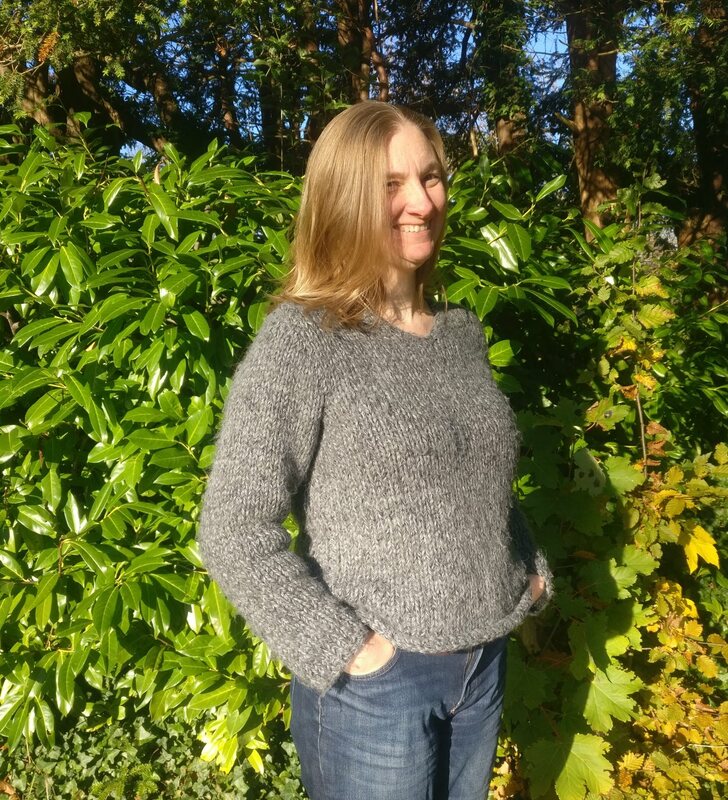 I am very particular about my knitted garments – I have always hated “scratchy” knitted jumpers and cardigans (sorry mum!) so it was important that I touched the yarn before purchasing it. I couldn’t find a chunky yarn that I liked, but for another pattern in the book they recommended using a double thickness of aran weight yarn to make up the weight. As such, I purchased the required number of balls of Hobbycraft’s leader of the pac yarn in charcoal (remembering that I needed twice the length). Not only was this yarn lovely and soft but the slight variation in colour appeals to me – I really didn’t want to get to the end of knitting my first garment and then get a visible stain on the first wear and I find colour variation really helps to hide stains! I was nervous about using a double thickness of yarn, particularly that I might find it tricky to determine the individual stitches, however, that didn’t turn out to be an issue at all. I knitted a gauge square and found that measurements were as described as in the pattern. Gauge square knitted with two balls of aran-weight to make chunky weight yarn. As such, I took the plunge and cast on the back. 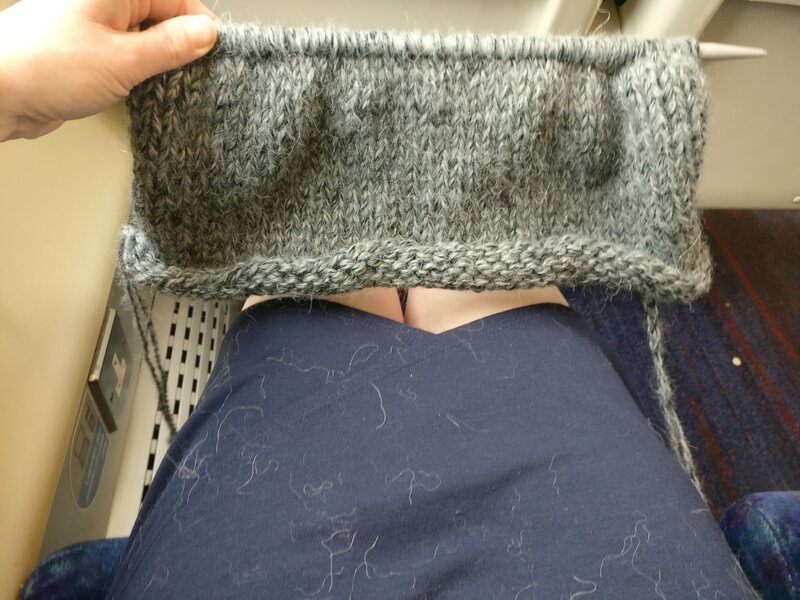 I started knitting to give me something creative to do on my frequent long commutes – I try and work on the train, but after a 10 hour day, I do find I need a rest. One thing I did find with this yarn was the fluff that was shed – After a long journey I did look like I’d shared my seat with many fluffy cats! Knitting the jumper didn’t provide any issues; the pattern was clear and easy to follow. 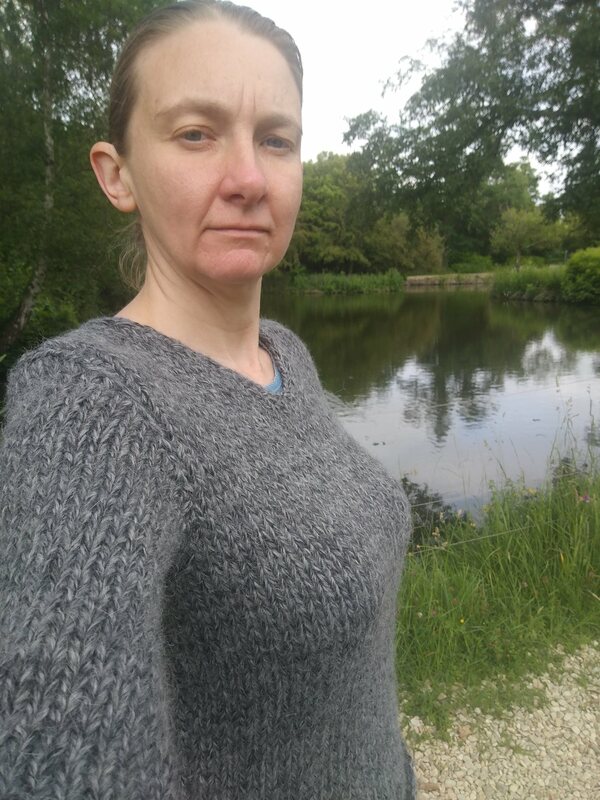 I did have to think when it came to knitting the v-neck, purely because using four balls of yarn (double thickness on each side of the neckline) provided something of a logistical challenge. 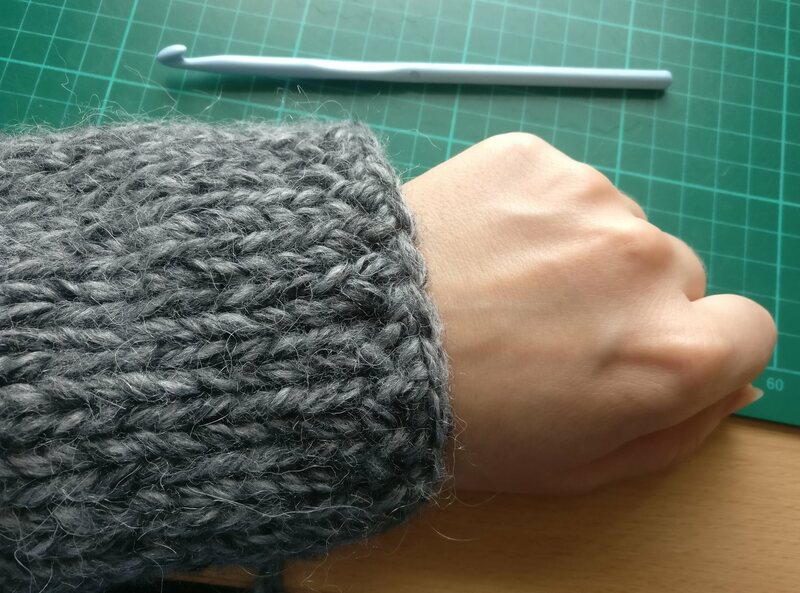 This pattern was also my first in which I’d had to make stitches – I did end up frogging the first few rows of my first sleeve as I struggled to make stitches, and needed to go back to youtube for help. I also did my usual as with sewing to check that the sleeve was an appropriate length and clipped it together for size before binding off. Another area of challenge was the crocheted edging which was recommended for the neckline. Bearing in mind that I have never crocheted before I decided to crochet around the hem and cuffs before attempting the neckline, in the hope that this would allow me to practice before the most visible edge. I also crocheted using only a single strand of yarn, purely because I only own one crochet hook, and this was too small for a double thickness of yarn! 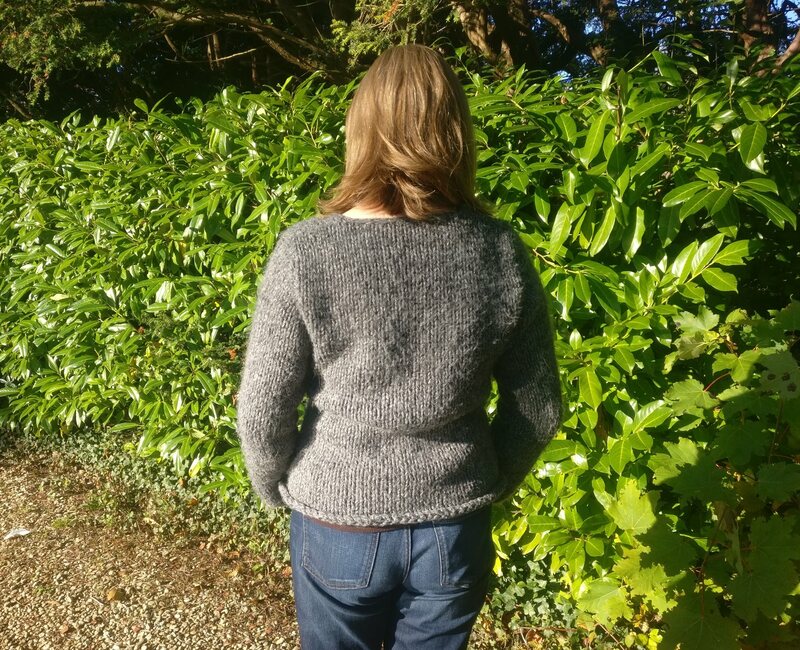 This jumper was first worn relatively soon after making it, despite the fact that it was finished over the summer and is a very warm jumper. 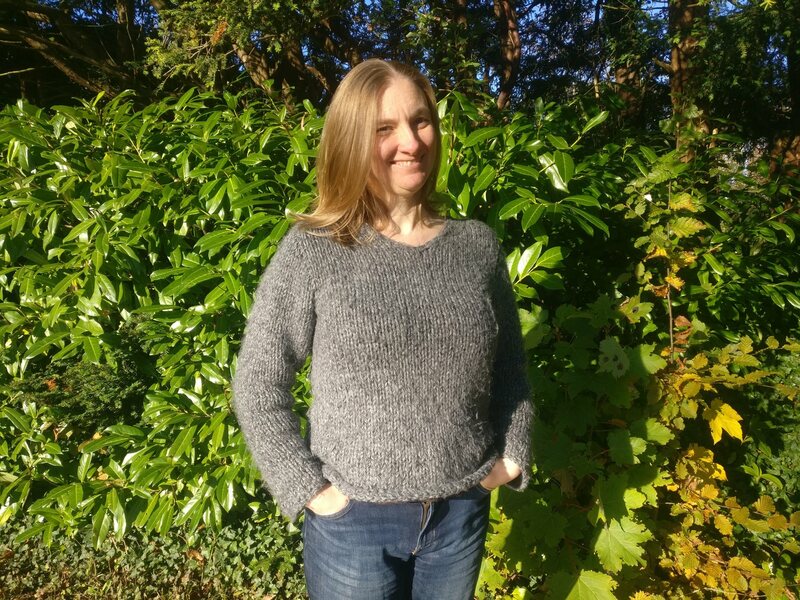 I absolutely love it – it’s cosy, super-warm and because the colour, goes with everything in my wardrobe it gets thrown on at every opportunity. One other benefit is that it’s so soft I get lots of cuddles from my family 😀 Unfortunately because of the fluffy nature of the yarn it is ageing quickly, in my view. That said, I will keep wearing this until it’s falling apart, because I love it so much.